Welcome to the CONTIGO Fairtrade Database. It is the centrepiece of the CONTIGO Fairtrade System (CFTS). 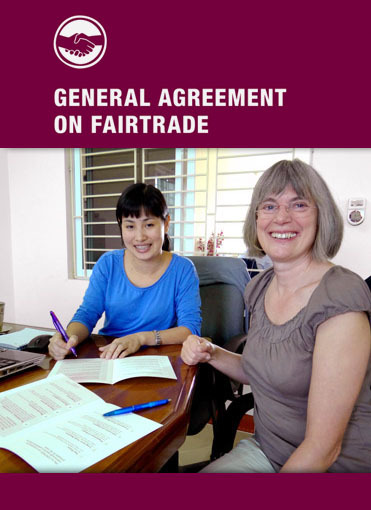 It contains thes full documentation of all trading relations, CONTIGO’s and their partners compliance with the 10 Principles for Fair Trade and their practical implementation. The access is open to the public. By means of the English version the overseas trading partner regularly check, amend and, if neccessary correct their pages and the information contained. If you have difficulties in viewing information on this website please update your Internet Explorer or simply switch to Chrome, Firefox or Safari. Improvement of the income and working conditions of marginalised workers and producers throughout the developing world. CONTIGO’s co-operation with overseas producers are based on the 10 Principles for Fair Trade. With this model, we hope to set an example for interactions between peoples and cultures that respect one another. This model shall demonstrate how producers, traders and consumer can mutually benefit on the long term by forming and maintaining sustainable partnerships. Promotion of Fair Trade through events, press work, presentations, panel sessions etc. CONTIGO WordPress Prod 2016. WikiWP theme, powered by Chereshka & WordPress.